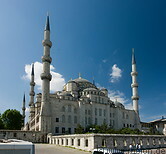 The historic centre of old Istanbul lies on a peninsula in the European part of the city. Comprising the districts of Eminönü and Fatih, it corresponds approximately to the extent of Constantinople in the 15th century. 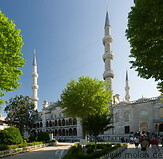 This area lies on the southern shores of the Golden Horn, which separates the old city center from the northern and younger parts of the European side.